We’ve all seen pictures of people mobbing stores during a storm warning, empty shelves that contained bottled water, toilet paper and canned goods – and these occurrences on Kauai are totally unnecessary. We live on an island with a history of hurricanes, and hurricane preparation should be something we do once each year; being prepared gives us confidence that no matter what happens, we are ready. The last thing we need is the stress of waiting in long lines at Costco, or fighting over the last case of canned soup. The anxiety of a coming storm is enough to deal with, without adding panic created by a last minute shopping frenzy. Bottled water is the first item on most people’s shopping lists, but on an island with limited refuse and recycling capabilities we should avoid buying cases of water; it is expensive, wasteful, and bulky to store. Five gallon collapsible water containers are inexpensive and long-lasting, and can be used at the beach and on camping trips as well. They collapse into a size that even the smallest ohana apartment can store until needed. Filling them before a storm, along with pots, pans, and your bathtub will provide as much water as needed at a fraction of the cost and waste, and can be reused many times. Keep a small stock of canned goods for emergency, but only items that your family usually eats, which means purchasing these in advance to avoid being sold out and buying items you may not like out of panic. Do not buy frozen or perishable foods at the last minute, chances are great that you will not have power and your food will spoil almost immediately. When all danger of a hurricane has passed, be sure to consume these items before the expiration date and replace them before the next storm warning. The last place you want to be before a storm is in the grocery store. Items you may want to consider buying, prior to a storm, are full propane cylinders to keep your household appliances or camping stove powered, sheet plastic or tarps, a high quality flash light and extra batteries, and a jump pack with 110 inverter to run a string of lights (charging the pack prior to the storm). The jump pack is another item that can be used in everyday life for both starting your car if your battery fails, or powering lights in your tent (or your keiki’s iPads) on camping trips. If a hurricane is imminent, and you are otherwise prepared, removing the screens from your windows is something many don’t think to do. After a big storm, wind will be nonexistent and mosquitos will be plentiful; storing your screens in a safe location allows you to replace them afterward, even if your windows have shattered, ensuring a more comfortable, bug-free home during recovery. During the last hurricane threat, Home Depot sold out of generators very quickly. Every brand was purchased because the choice of the best products was gone. Having a generator is a good idea if you have a business to run or a large family, but buying the appropriate generator in advance is important. Imagine that you’ve survived a storm and are working all day to make repairs and get back to your normal life – but your generator was cheap and puts out 100 decibels of sound – the equivalent to a jackhammer, the garbage truck, a motorcycle, or a lawnmower, 24 hours a day, right outside your house. Not only will this impair your peace of mind during the dark hours, but you are likely to cause your nearest neighbors to become angry. With a little bit of research and advance planning, you can find a quiet generator at the same price as a loud one, and spend your nights slumbering restfully while your appliances run. Check out this article for more information to help you decide which brand to purchase if you need a generator. To shop locally for generators or jump packs, try Toolmaster in Lihue, Kawamura Farm Enterprises in Lihue, or Kauai Marine and Mower in Kapaa. Finally, to be fully prepared for the hurricane season, know your homeowners insurance policy, what it covers, and your deductibles. Contact your insurance agent, or call The Professionals – we have dealt with every insurance agency on the island and can help you decipher anything you don’t understand. 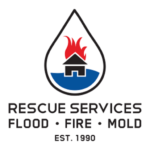 The Professionals – Rescue Services is here to help you in any emergency – from hurricane cleanup to a wet floor from a broken water line to smoke mitigation from a fire, and so much more. If you encounter any situation that calls for non-medical emergency service and don’t know who to call – call us at 808-246-0405 – 24/7. 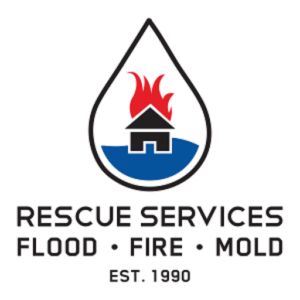 We are here to help the entire island of Kauai.